201-207 West Holly St. Corner of West Holly and Commercial streets. 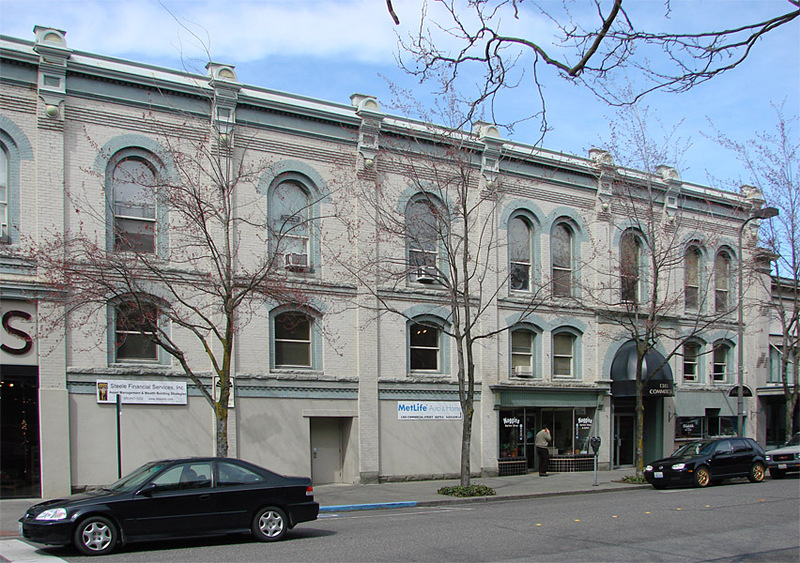 200 West Holly and 1300-1303 Commercial St.
206-212 W Magnolia St., 1401-1415 Commercial St., with W Champion St. at the rear. 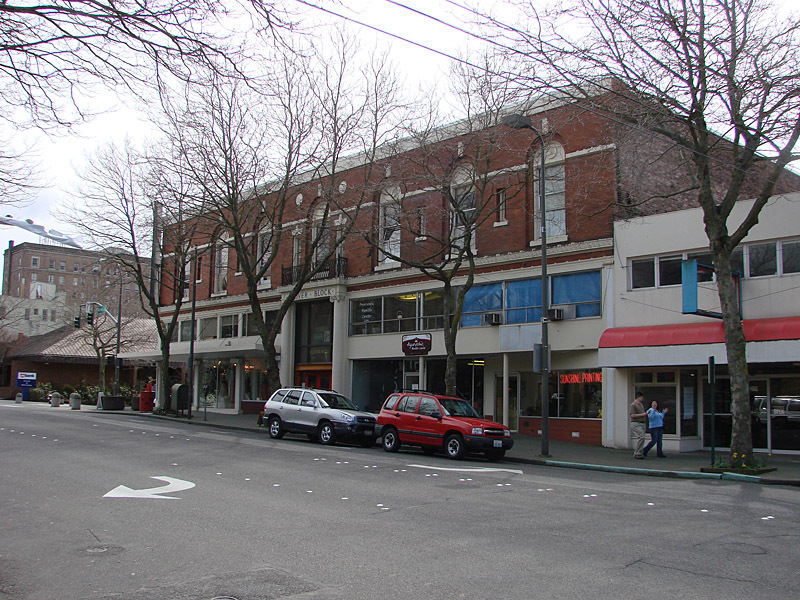 In the triangular wedge of Champion, Magnolia and Commercial St intersections. 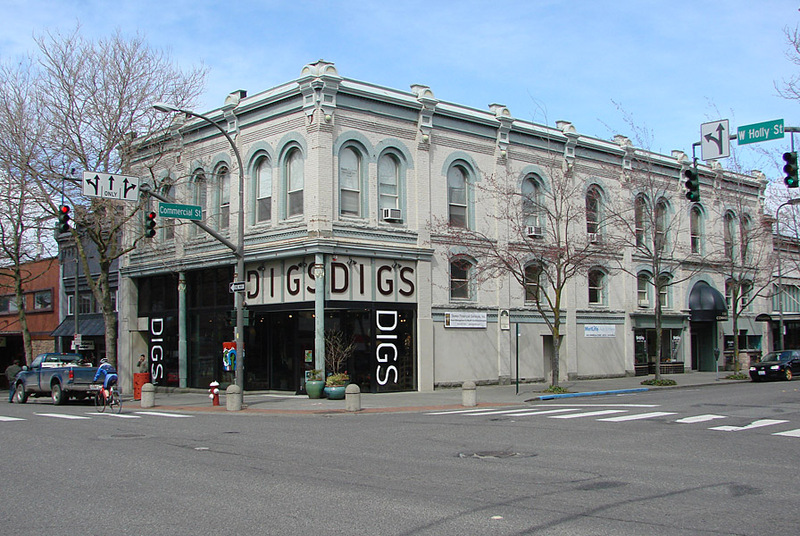 Corner of Commercial and Magnolia St. 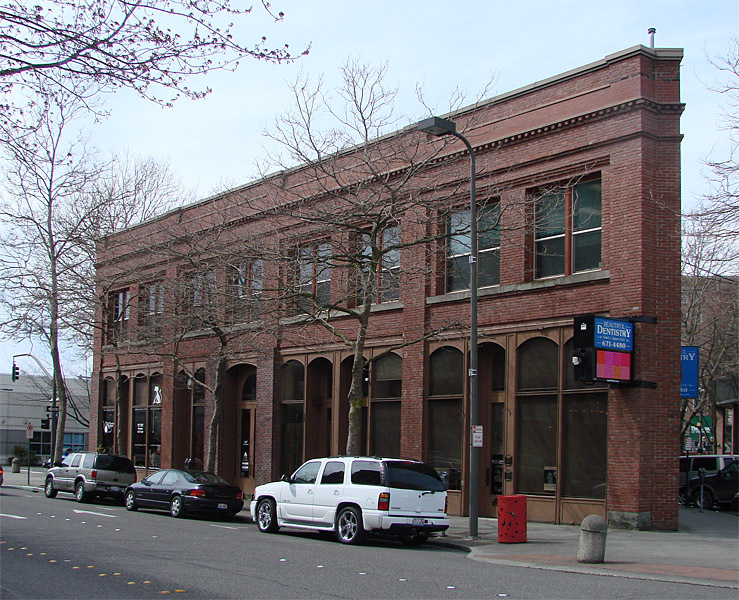 The Montague & McHugh building was constructed in an era of national prosperity and a local upward economic trend. Soon after, however, the Great Depression struck and the building was forced to close. 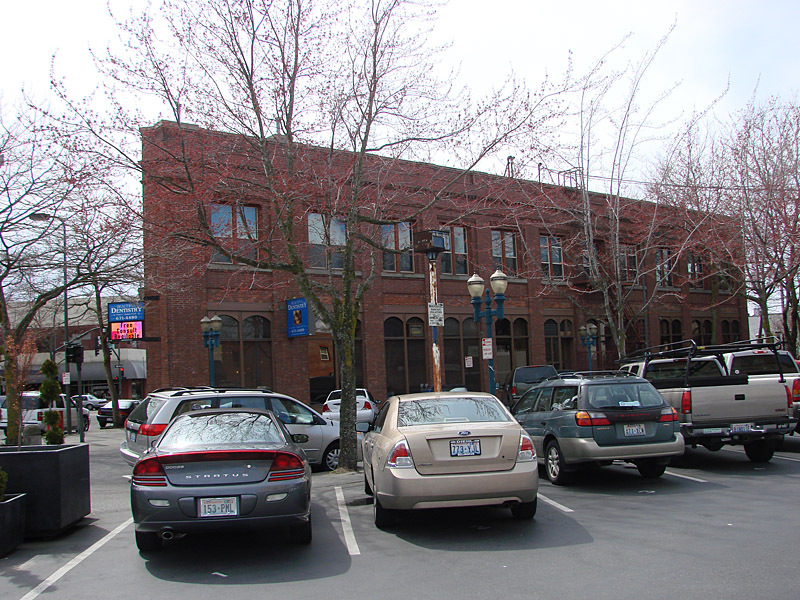 The history of the Montague & McHugh building has closely reflected Bellingham's overall land use pattern of original use, vacancy and adaptive reuse. 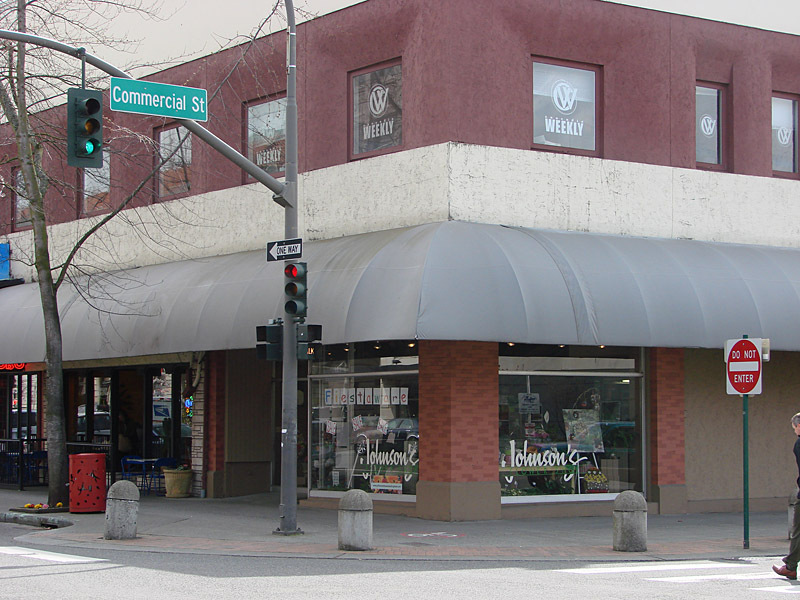 The partnership of Montague & McHugh began in 1890 with their first store located in the former town of New Whatcom. 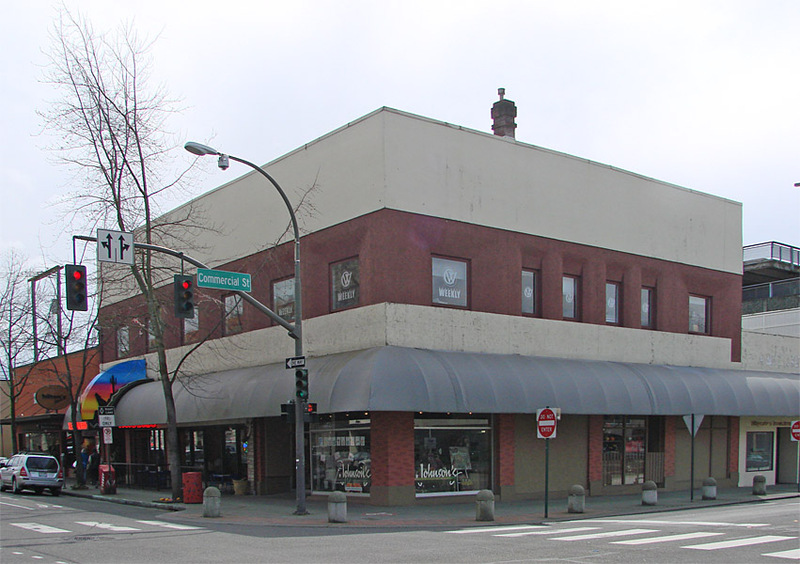 Their new five-story department store located in downtown Bellingham included retail facilities a tearoom and a ballroom, the latter two were open for public use. The spectacular ballroom was one of six in the United States that included a Zenithern floor, considered the finest type for dancing. 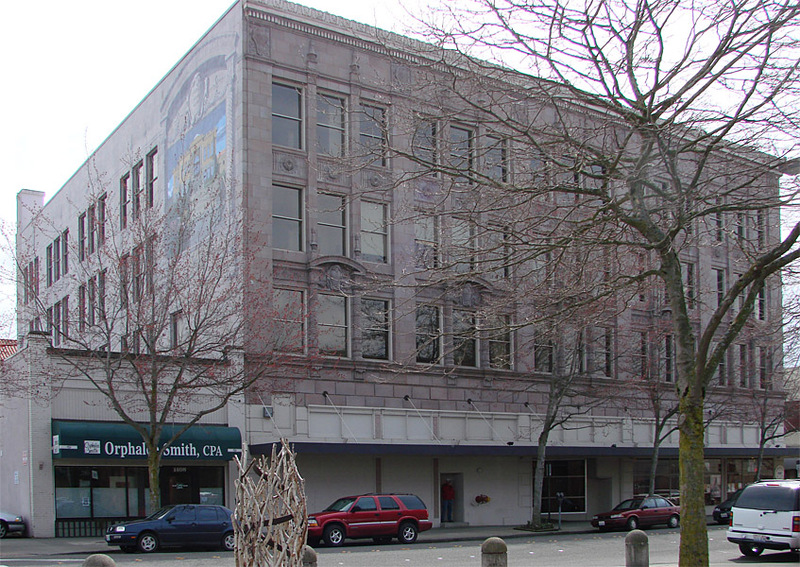 The architect for this metropolitan centerpiece was John Graham Sr. who, in addition to being Ford Motor Company's designated architect, designed many buildings in Seattle and in countries around the world. 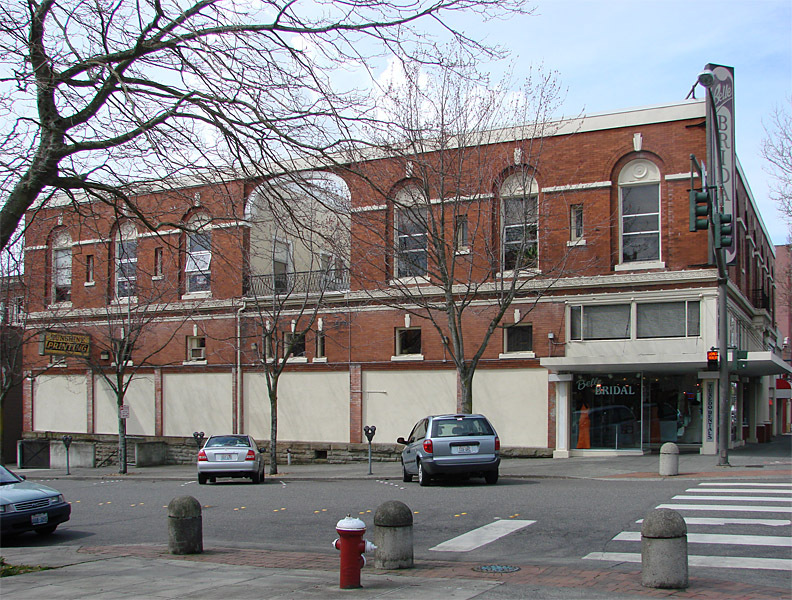 Several other structures Graham designed are on the National Register of Historic places. The Montague & McHugh Building is in the Neoclassical Commercial style, discernible from the curious fenestration pattern carried out on three elevations. Originally, a marquee and an arched entryway distinguished the outside of this structure's two-story base. Elaborate spiral columns support the pediments and the window frames that still remain are made of wood. While the exterior is presently similar to when the building opened the marvelous interior lasted little more than a decade. During WWII the inside of the structure was completely gutted, ballroom and all, and used as a bomb casing factory for the Boeing Company. 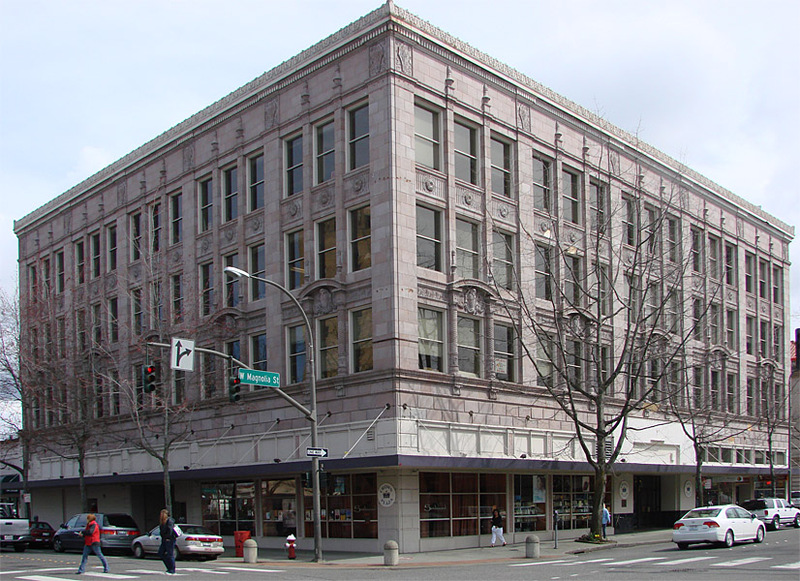 Since 1991 the Montague & McHugh building has been used for office space by Crown Plaza. In 1993 the Crown Plaza Corporation was approved for local historic designation after carefully undergoing costly rehabilitation measures earlier that year. 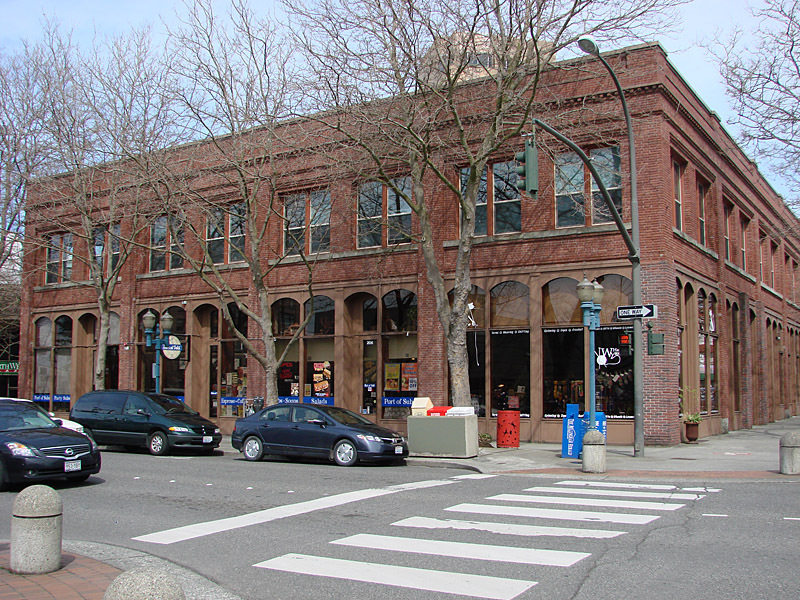 The Montague & McHugh building is uniquely connected with Bellingham's past and will continue to be a distinctive visual feature into the city's future.